"Emanuel Bowen was a prolific English mapmaker of the 18th century.Perhaps his most famous work was The Large English Atlas, published in 1755 with Thomas Kitchin, illustrating 45 detailed maps of England. 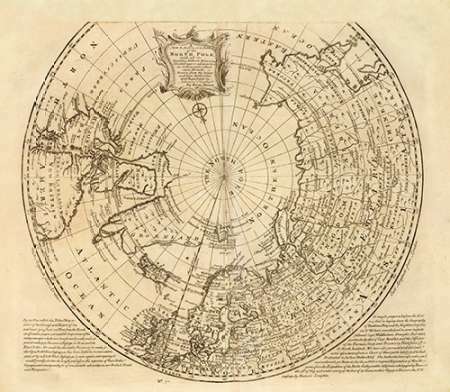 Combining cartographic detail with descriptive annotations, each engraving showed an enormous amount of information to a scale which had not previously been attempted within an atlas.Bowen also produced good quality world atlases, and was one of the leading cartographers in an English mapmaking tradition which extended from around 1700. Many of the maps in his atlases were based on those produced by international contemporaries and his atlases included an excellent range of maps of British-held territories around the world, including islands in the Caribbean.Other famous atlases with which Bowen was involved include A Complete System of Geography (1744-1747) and A Complete Atlas or District View of the Known World (1752).Bowen was born in approximately 1698 and died in 1767."